Our church was founded in about 1846 in the Independent tradition, also known as Congregational. We are affiliated to the CONGREGATIONAL FEDERATION. This means that it is a church governed by its members and not having a hierarchy of Bishops. Decisions are taken by the church members, guided by a small body of elected Deacons. Services are led by the Pastor,who is invited to take the office by the members and also from time to time by Lay Preachers. 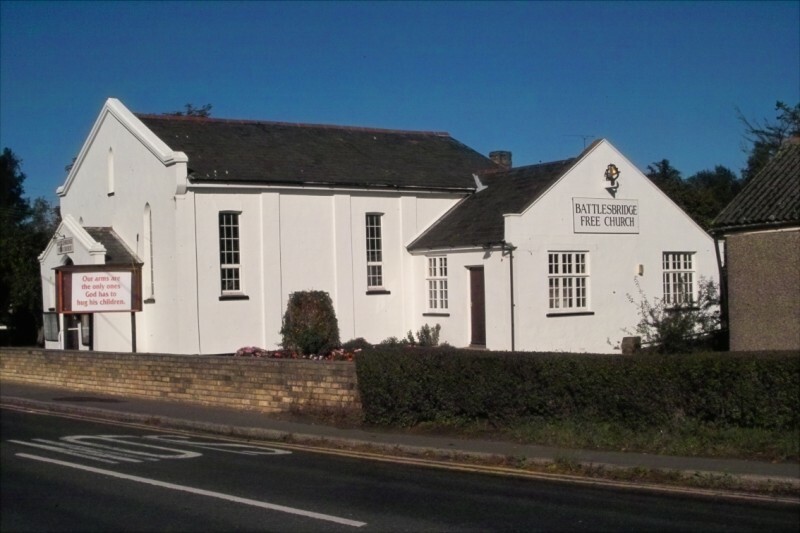 Services at Battlesbridge are lively and intimate and visitors can be sure of a warm welcome. If you have felt at home with us today you might care to try visiting us on a Sunday morning. We shall be pleased to see you. Sunday services are held at11 a.m. and that on the first Sunday in the month is a Communion Service at which all Christian people are welcome. Baptisms, marriages and funerals are by arrangement.